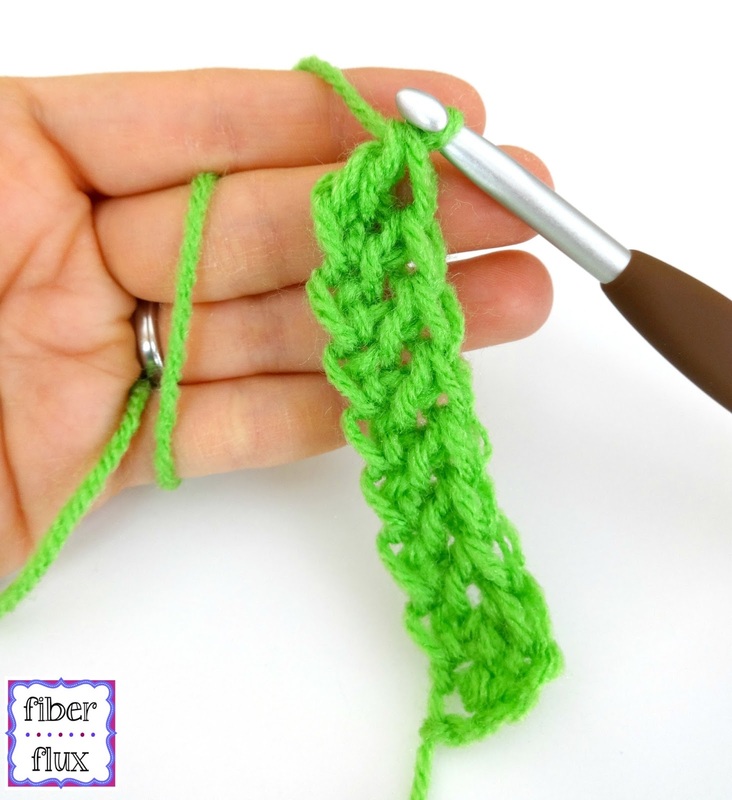 The Foundation Double Crochet Stitch (or fdc for short) is a very handy skill to have in your crochet tool box. 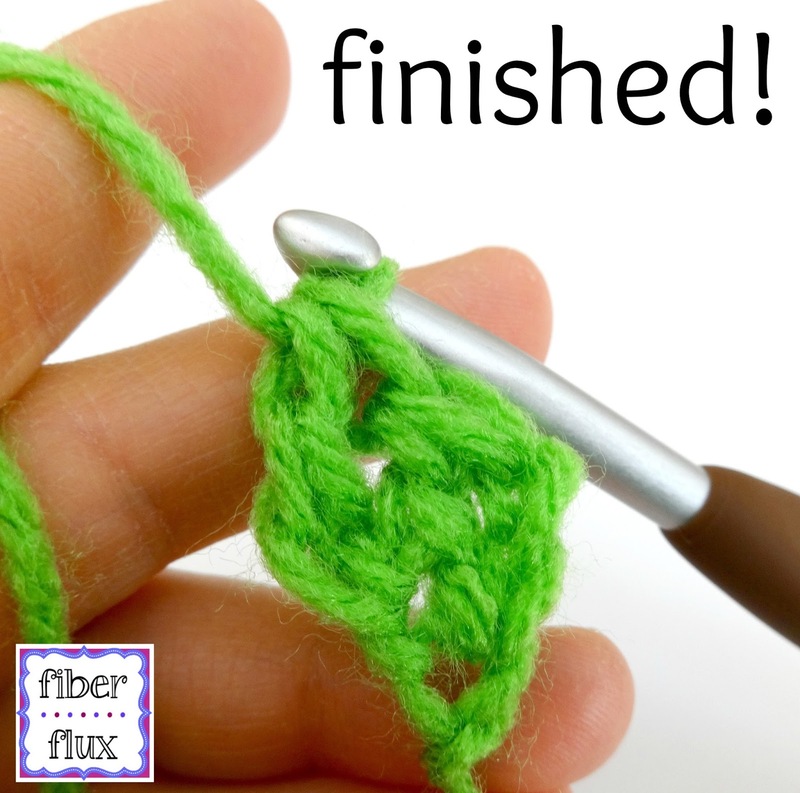 It eliminates the need for a starting chain...you work both chains and double crochet stitches as you go! *This completes the first fdc. Step 8 begins the second fdc on your row. Step 9: At the bottom last stitch worked, turn work slightly to the side and locate the "v" at the bottom. Insert hook into the "v"
Step 13 (last step): Wrap yarn around hook and bring it through last two loops on the hook (one loop will be left on the hook. This completes the second double crochet stitch. Repeat steps 8-13 for each fdc you need on your row. Good tutorial. I like to know the 'why' of things and so it may benefit other watchers also if you noted in the directions/video that the chain is made when they pull through the first loop and the dc is made when pulling through the 2 loops 2x, and that the v stitch that is worked into, is in fact, the chain stitch. When I was first learning foundationless stitches, I couldn't understand how I was able to make a stitch without working into a chain at the start, so understanding that I was making the chain for the next dc beforehand was a great help.